This Week's Saturday Shorts: Music, Marbles, and Murder! 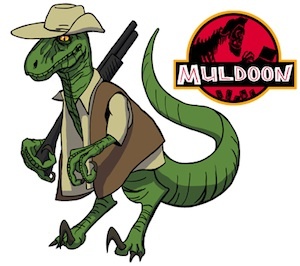 Hello ladies and gentlemen, Muldoon here with this week's selection of fun films I think you might want to check out. We've got quite a mixture of imagery and genre hopping going on this week as there's drama, comedy, and music, and a heaping serving of originality. I don't know about you, but I'm slowly seeing a trend over the last few years with movie blog sites (possible other types - I just read the movie ones) where bloggers seem to be getting snarkier and snarkier. I have beef with that. I absolutely can't stand how a film (that hundreds of people worked months on or a handful of people spent nights and weekends on) can be slammed by a person who might've walked into the theater after stubbing their toe (for example) and then, boom! negative reviews. Sure, there are absolutely bad films out there, typically made with financial backing to turn a profit as opposed to make something cool and unique, but I've had my fill of the "Prove to me why your film is worth my attention" attitude. It's easy to sit, point, and say "I would have done it this way," but that's typically where it stops. Rarely do I see "I would have done this or that" turn into "I will do this or that." That's why SATURDAY SHORTS is here. It's here specifically to showcase and celebrate films created for the people by the people - films that sprout from passion, hard work, and ignoring what others have done. For me, it's a privilege to be sent so many unique and artistically distinct films from all over the world and tickles me to no end that my little column has been welcomed into so many folks' homes. (Sorry, I just had to say that). At any rate, let's get on with this week's picks. Hopefully you dig all of them, but even if you just catch one you like that you wouldn't have seen otherwise - I can live with that. Let's hop on in, eh? To kick us off, we've can an incredible Korean revenge film from The Halsall Brothers that will absolutely blow you away. Matt Halsall says the whole thing was done with $4,000 while he was in Korea working as an English teacher. This thing's gritty, dark, and simply amazing. Check it out and you won't be dissapointed. If you like what you hear in the film, then be sure to hit this link for more. IF I HAD A HEART from Rook Films on Vimeo. Bill Carter's "ANYTHING MADE OF PAPER"
Up next is something I don't typically cover here: a music video. This video for Bill Carter's newest release is just to cool not to share with you folks. It's got a unique style with stop motion/animation that's unlike most animated videos I've seen before. Pat Kondelis and Brandon Ray really knock this one out of the park (or concert arena... whichever makes the most sense musically!) It's great and I hope you folks dig it too! Bill Carter's "Anything Made of Paper" uses a collage of different animation techniques to tell a story of injustice, hope, and love inspired by the tragedy surrounding the West Memphis Three. The song was written as a present for Damien Echols when he was on death row. Bill and his wife Ruth set out to write a song about love and tragedy. The animated music video is a fictional re-telling of the story that inspired Bill to write the song in the first place, and echoes the hope we all must cling to in the face of injustice. Directors Pat Kondelis and Brandon Ray experimented with the blending of several different paper-based forms of animation to tell the story. “We wanted to the see wrinkles in the paper, the tape, the folds, the edges, anything that reminds the viewer that actual paper is being used,” says Ray. Bill Carter has been a pillar of the music scene for nearly three decades, along with songwriting partner Ruth Ellsworth. Over 200 artists have found gold in the songwriting genius of this Texas Troubadour, including Stevie Ray Vaughan, The Fabulous Thunderbirds, Robert Palmer, The Counting Crows, Storyville, Omar and The Howlers, The Brian Setzer Orchestra, Ruth Brown, John Anderson, and Waylon Jennings. Carter's "Anything Made of Paper" has already touched the hearts of many. He performed it in August 2010 at the Voices for Justice Concert and Rally in Little Rock, AR in support of the West Memphis Three, and was accompanied by Johnny Depp to play the song on theLate Show with David Letterman earlier this year. The animated video for "Anything Made of Paper" from the album Unknown is a penetratingly unique concept, that utilizes multiple animating methods to create an original piece of art that grabs you from the first frame. Damien Echols and his wife Lorri were instantly moved by this video, saying "We love this video. When we watched it for the first time, we both laughed and marveled at the sweetness, and the beauty of it. What talent and care went into its creation. So happy it's out there to accompany this, our beloved song." Bill Carter states that "Brandon and Pat's original concept for a video of this song is a penetrating magical work of art … the transposition is flawless" and his wife Ruth was equally effusive in her praise, saying "This song for two hearts has found its way into many. Thank you brandon and pat for this unique and beautiful interpretation." Up next we have a gnarly three minutes of "WTF? Oh no!" from director Zac Blair. M IS FOR MARBLE is Zac's stab at the ABC'S OF DEATH PART 2 where each letter of the alphabet gets it's own death sequence. I loved the first one and found the concept to be inviting and imaginative - some went all out while others called it in, but you had some incredible sequences created that otherwise might not have been. Zac Blair's film reminds me a lot of FINAL DESTINATION, but fun and enjoyable (in a sick way). If you like what you see, then be sure to hit up this site and vote the hell out of it. Gear shift. Next up we have a film from Irina Varina where she plays one half of a couple that goes through some sticky situations. Well made, well shot, well cut - and all sorts experimentation going on. Overs from irina v on Vimeo. From Austria with love we have Patrick Topitschnig's mockumentary, a glimpse into the mind of the man who found a way to turn acoustic signals into energy. rumor macchina from Patrick Topitschnig on Vimeo. I hope you ladies and gents enjoyed this week's picks! I'll see you all next week with more, but hey while we're here - I'm unapologetically going to drop this flyer on you. 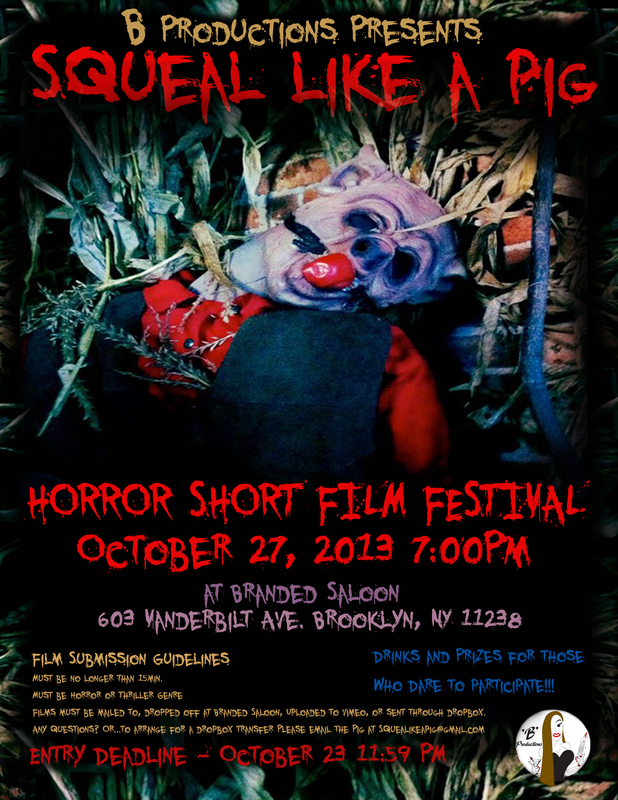 Ryan Gates is undertaking quite the fete by putting together a Horror Short Film Festival in Brooklyn, NY. I figure it's the month of Halloween and it's an opportunity for Ryan to showcase some pretty out there horror films, so for what it's worth - if you're in New York Oct. 27th or have a short horror film - then reach out to the guy. Who knows, it could turn into something bigger, but at the very least it sounds like a fun way to ease into the Halloween spirit!